Recent biographies can inspire readers with glimpses of exemplary lives. The late, much-missed Truman G. Madsen (1917–2009) occupied BYU’s Richard L. Evans Chair of Christian Understanding for more than 20 years. 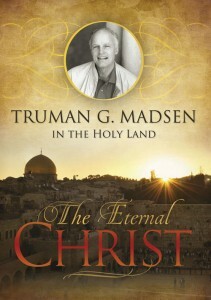 A prolific author, beloved teacher, director of the Jerusalem Center for Near Eastern Studies, and presenter of popular audio and video lectures on gospel subjects, Madsen has left his spiritual legacy and testimony through a set of powerful DVDs, The Eternal Christ: Truman G. Madsen in the Holy Land (Gazelam Foundation/Novus Visum/Deseret Book; 4 discs, 8 episodes; $39.99), a biography of the Lord Jesus Christ. Beautifully filmed in the Holy Land and Guatemala, Madsen relates the life, mission, ministry, gospel, Atonement, Resurrection, and testaments of Jesus Christ on two continents in ancient times—and today. These captivating lectures, completed shortly before Madsen’s final illness, provide thrilling insights into the Savior’s life and teachings and enable 21st-century believers to experience the Lord in a unique, personal way. 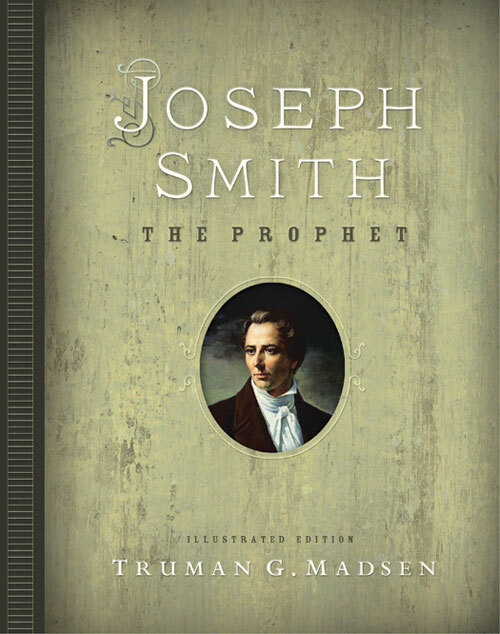 In his biographical memoir Joseph Smith the Prophet (Deseret Book; 248 pp. ; $49.99), Madsen has left us another invaluable legacy. This subjective, stick-to-your-soul book is packed with lesser-known details describing Joseph Smith’s personal attributes and gifts, as well as the key events in his life. This compelling book is the printed version of Madsen’s popular tapes about Joseph Smith, first released in 1989. 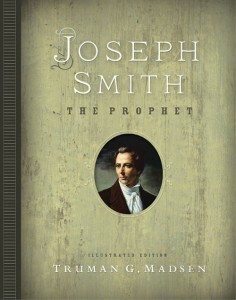 Now in this beautifully illustrated edition,Joseph Smith the Prophet culminates Madsen’s lifelong study of the Prophet in eight chapters grounded in firsthand accounts and documents and in his personal love for and testimony of “Brother Joseph.” “If we do not know them now, each of us will at some time come to know these twin truths: Jesus is the Christ, and Joseph is his Prophet” (p. 221). 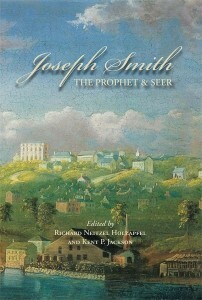 In Joseph Smith, The Prophet and Seer (BYU Religious Studies Center; 554 pp. 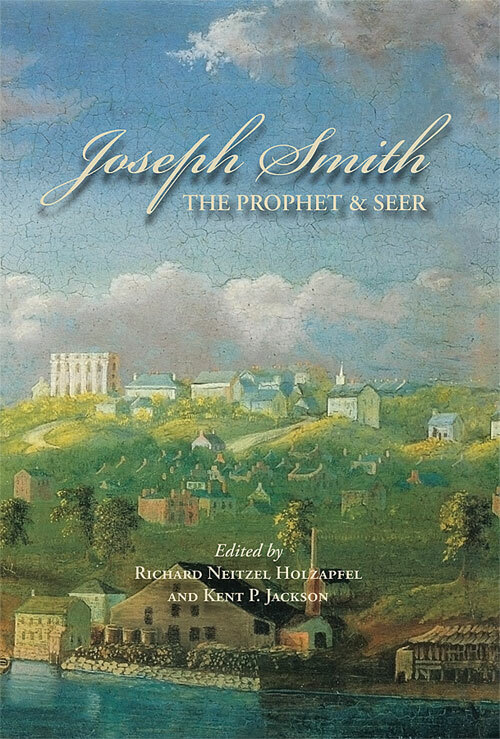 ; $29.99), Richard N. Holzapfel (BA ’78) and Kent P. Jackson (BA ’74), editors, have collected 17 biographical chapters comprising a year-by-year study of the life of Joseph Smith as prophet and seer. First presented in a 2008 BYU lecture series, the book chapters undertake to “use fresh eyes to look at Joseph Smith [year-by-year], mining both old evidence and new discoveries to give us a view of who the Prophet was, what he accomplished, and why his life matters. As a result of the efforts of these and other scholars, in some ways we may know more about the Prophet than did those who lived during his lifetime, given the intimate look we have into his personal diaries and letters. But naturally his family, friends, and close associates knew him in ways in which we cannot” (p. xxi). Holzapfel begins the book with the chapter “The Early Years, 1805–19,” followed by Richard E. Bennett’s (BA ’72) “Joseph Smith and the First Principles of the Gospel, 1820–29” and by Jackson’s “Joseph Smith’s New Translation of the Bible, 1830.” Well-written and carefully researched chapters then discuss each of the following years, 1831–June 1844, each examining closely the major events in Joseph Smith’s life. These essays provide new understanding of, for example, the Kirtland Banking Crisis (1837), the forced exodus of the Saints from Missouri (1839), and Missouri’s dogged attempts to extradite Joseph (1842). This chronological biography is fascinating reading. 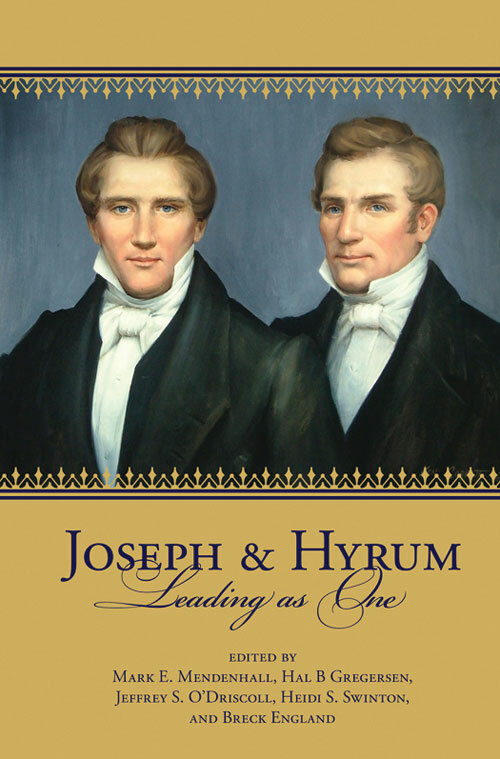 A different but nonetheless rewarding approach to the lives of the Prophet Joseph and his elder brother Hyrum is Joseph and Hyrum: Leading as One (Deseret Book; 262 pp. ; $21.99), edited by Mark E. Mendenhall (BS ’80), Hal B Gregersen (MOB ’83), Jeffrey S. O’Driscoll (BS ’85), Heidi S. Swinton, and Breck England. 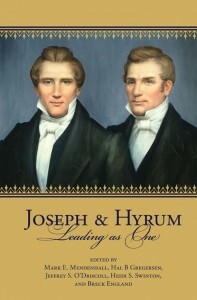 Sixteen Latter-day Saint scholars of management, leadership, Church history, and organizational behavior identify and examine how Joseph and Hyrum Smith, with their very different yet complementary leadership styles, worked among their followers—organizing, counseling, admonishing, reproving, encouraging, supporting, and leading them, practicing in individual ways the core principles of effective leadership. Having illustrated those principles through the brothers’ letters and sermons, the editors then suggest how those leadership abilities may be applied in our 21st-century Latter-day Saint lives. Despite their different management styles, Joseph and Hyrum were devotedly united and mutually loyal. Mary Ann Stearns Winters, who knew both of them well, recalled in 1905, “I rejoice in my acquaintance with the Prophet Joseph, and with his brother Hyrum also, for one is not complete without the other—they were nearly always together, and are inseparably connected in mind—Joseph and Hyrum—names ever dear to the faithful” (p. v). Joseph said of Hyrum, “I would pray in my heart that all my brethren were like unto my beloved brother Hyrum . . . ; and I love him with that love that is stronger than death, for I never had occasion to rebuke him, nor he me” (p. vi). In assessing just how the brothers functioned as leaders of the Saints, Elder M. Russell Ballard, a great-grandson of Hyrum, reminds that “it is an error to put Joseph as a stand-alone figure. In Joseph’s greatest hours of need, Hyrum was there” (p. vii). They worked together; the Saints saw their effective unity yet their different styles of dealing with Saints and Gentiles. In this principled book, 16 LDS scholars suggest how turn-of-the-millennium Saints can glean vital lessons from the Prophet’s and patriarch’s lives. 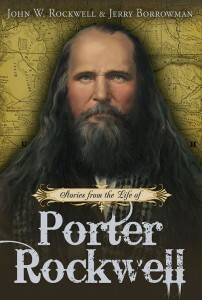 John W. Rockwell (BA ’73) and Jerry Borrowman offer an exciting read in Stories from the Life of Porter Rockwell (Covenant Communications; 166 pp. ; $18.99), a collection of anecdotes (some well founded, others conjectural) about Mormonism’s most notorious folk hero, Porter Rockwell (1813–78), the bodyguard of the Prophet Joseph. It was on Rockwell’s return to Nauvoo after nine months in a Missouri prison that the Prophet blessed Rockwell with the gift of healing and told him that as “long as he was true and faithful to his covenants, to the Church, and to his God, that no bullet or blade would ever harm him” (p. 68); afterward, say witnesses, Joseph told Rockwell that in token of accepting this covenant, he should never cut his hair or beard. Anecdotes confirm that this prophecy was fulfilled time and again—and Rockwell needed divine protection. He was notorious for the number of lawbreakers he hunted down, mainly in the line of duty as Salt Lake City sheriff and a U.S. deputy marshal. Schuyler Colfax, vice president of the United States, once visited Salt Lake City and berated the Saints for, among other things, harboring “‘that murderer Porter Rockwell.’ Rockwell spoke up from the crowd and said very clearly, ‘I never killed a man who didn’t deserve it.’ The vice president was so unnerved by this that he ended his speech early and quickly left town” (p. xviii). Rockwell was a successful businessman and rancher and died of natural causes, with “his boots on” (p. 162), at age 65. This book is packed with stories which have gathered around this folk hero, but the definitive biography is Harold Schindler’s Orrin Porter Rockwell, Man of God/Son of Thunder (University of Utah Press, 1993), from which a number of these anecdotes emerge. Larry H. Miller (1944–2009), with Doug Robinson, brings us Driven, An Autobiography (Deseret Book; 343 pp. ; $25.99). Miller wore several (hundred) hats—all at once: entrepreneur, businessman (nearly 90 businesses), philanthropist, hall-of-fame softball pitcher, nation’s 10th largest car dealer, NBA franchise owner, and builder of the Delta Center (now Energy Solutions Arena). Miller spent much of his final seven months writing and telling his life story to Deseret News columnist Doug Robinson. The result candidly captures the often-painful story of Miller’s passion and intensity, which he displayed in everything he did, from playing marbles to softball pitching to giving many millions of dollars to various public and private charities. Miller has made huge philanthropic gifts to organizations promoting education, the arts, and business. His donations include the entire south campus of the Salt Lake Community College, a chair in English at the University of Utah, BYU’s Miller ballpark, several Latter-day Saint films (all of which lost money), and the research, development, and publication of The Joseph Smith Papers, which was, his obituary noted, “one of the dearest [projects] to his heart” (quoted, p. 178). Miller’s secret? Inner drive. “I worked and worked and worked, day after day, night after night, dawn to bedtime. 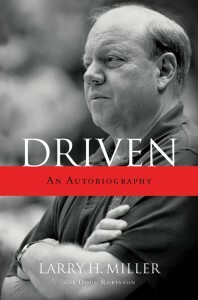 I was driven to succeed” (p. 23). Never a delegator, Miller planned every detail in every venture, right down to the landscaping, floor plans, concessions, and location of the flagpoles. Larry H. Miller’s impact upon Salt Lake City, the state of Utah, and the Church is deep and widespread. At the end of his life he told his wife, Gail, “I want to be remembered as a man who loved Utah” (p. 6). The last five of those words grace his headstone. Richard H. Cracroft is BYU’s Nan Osmond Grass Professor in English, emeritus. A member of the English Department faculty from 1963 to 2001, he served as department chair, dean of the College of Humanities, coordinator of American studies, and director of the Center for the Study of Christian Values in Literature.